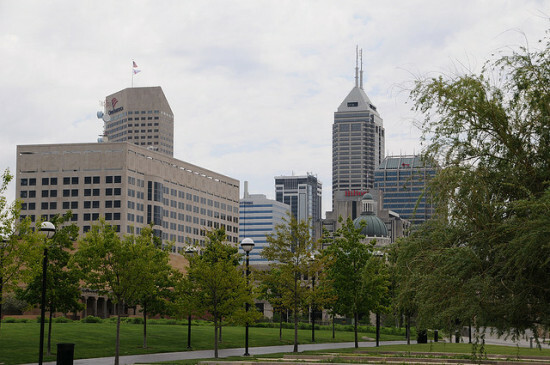 Indianapolis has been busy remaking its downtown, embarking on several developments and planning projects that city officials hope bode well for the city's future growth. The editors at Indianapolis Monthly rounded them up this week, picking out “five projects improving Indy right now.” Two are long-term plans: Mayor Greg Ballard's LiveIndy Plan, which focuses on public safety through education and new police hires, and Plan 2020, a $2 million roadmap of “promises we're making to residents” on the occasion of the city's bicentennial in 2021. 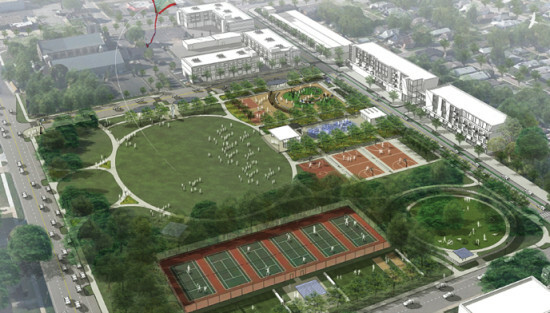 They've also got their eye on the redevelopment of Tarkington Park, a 10.5-acre green space at 39th and Illinois streets currently on the fringe between the low-income Crown Hill and “genteel” Meridian-Kessler neighborhoods. Full funding for the development, which goes toward park improvements and a new grocery store, is still pending. Local design firm Rundell Ernstberger Associates (REA) is leading the process. Indianapolis is also in the middle of a transit overhaul, which may include building a new $20 million downtown transit hub. The project's breaking ground soon. Indianapolis Monthly also calls out an in-progress luxury apartment tower at the former site of Market Square Arena. Since the demolition of Market Square Arena, surface parking lots have deadened the downtown area. Engine manufacturer Cummins Corporation announced plans for a new regional headquarters in Indianapolis Monday, but the Columbus, Indiana–based Fortune 500 company won’t look to local design talent to lead the project. Instead, three of the country's leading names—all based in New York City—will compete for the project. 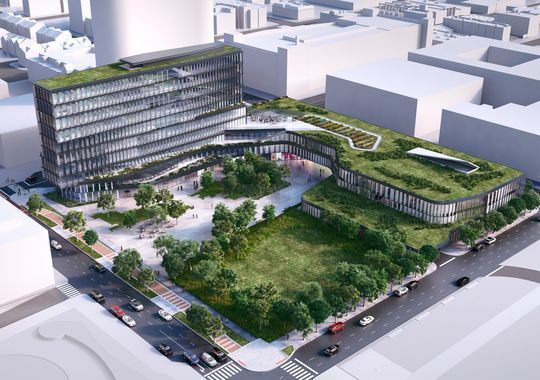 Three New York–based design firms will compete to build the new headquarters, which will be on the site of the former Market Square Arena in downtown Indianapolis: Deborah Berke Partners, SHoP Architects, and Tod Williams Billie Tsien Architects. Cummins hasn’t released any design specifications for the $30 million building, but the company has a history of pursuing striking architecture. Its foundation arm has contributed to the creation and preservation of iconic modernist structures in Columbus, Indiana, including the Miller House, which was designed collaboratively by Eero Saarinen, Dan Kiley, and Alexander Girard. Market Square Arena was demolished in 2001, but only recently have developers begun to fill in the vacant land. Cummins is expected to select a winning design this September.